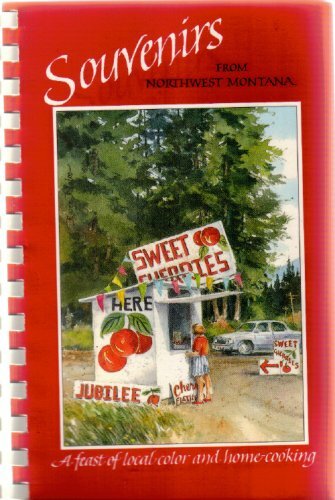 A 205-page cookbook with treasured recipes from Northwest Montana that provide a feast of local color and home-cooking. Divided into Beginnings, breakfasts, soups, salads, breads, vegetables & side dishes, main dishes and happy endings. Lovely illustrations of the Montana food scenes from Gini Ogle and Karen Noice. A wonderful collection of regional recipes; each recipe has the name of the contributor.